A labelled nootropic. 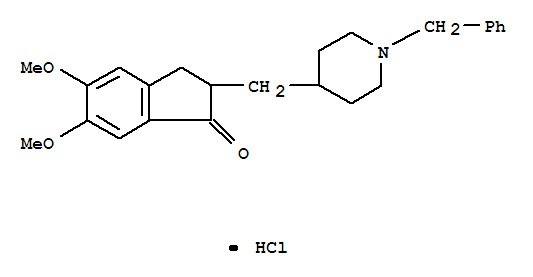 An inhibitor of acetylcholinesterase. ChEBI: Donepezil hydrochloride is a centrally acting reversible acetyl cholinesterase inhibitor. Its main therapeutic use is in the treatment of Alzheimer's disease where it is used to increase cortical acetylcholine.